Psychology is a diverse discipline that attempts to understand the basis of behaviour, thoughts and emotions. Psychology at UBC was introduced as a single course in 1915 and was initially offered by the Department of Philosophy. Over the years, the number of courses and instructors grew until we officially became the Department of Psychology in 1958. Information on research areas offered in the department, as well as admissinos-related information, can be found on the department website. Read the department program webstie carefully before contacting the department with specific questions that are not addressed on the website. UBC’s Department of Psychology is a top ranked research department in Canada and in the world. 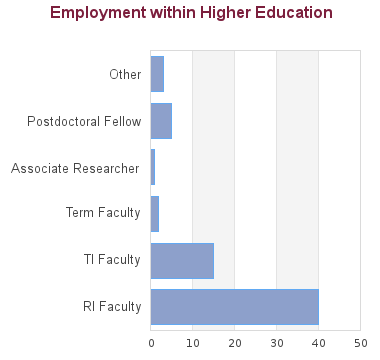 Our 58 faculty members and 132 full-time graduate students and postdoctoral fellows conduct research across the spectrum of psychology, representing seven sub-disciplinary specializations: Behavioural Neuroscience, Clinical, Cognitive Science, Developmental, Health, Quantitative Methods, and Social/Personality. We offer research-intensive graduate studies in seven sub-disciplinary specializations: Behavioural Neuroscience, Clinical, Cognitive Science, Developmental, Health, Quantitative Methods, and Social/Personality. Students going into Clinical Psychology will require a criminal record check. A thesis-based MA or MSc in Psychology is required for applicants applying for the PhD program. The GRE general test is required for all applicants; teh GRE subject test is recommended but not required. All full-time students who begin a UBC-Vancouver PhD program in September 2018 or later will be provided with a funding package of at least $18,000 for each of the first four years of their PhD. The funding package may consist of any combination of internal or external awards, teaching-related work, research assistantships, and graduate academic assistantships. 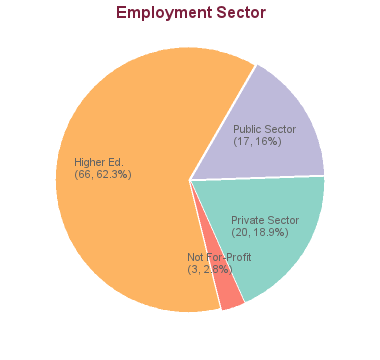 Please note that many graduate programs provide funding packages that are substantially greater than $18,000 per year. Please check with your prospective graduate program for specific details of the funding provided to its PhD students. Refer to our website at https://www.psych.ubc.ca/graduate/funding/ for additional information on funding opportunities. The PhD in Psychology is designed to prepare students for employment in academic or private sector settings. Recent graduates have taken positions as a public policy quantitative analyst, tenure track faculty member, postdoctoral fellow, research scientist, and practicing clinical psychologist. This program has a graduation rate of 87.04% based on 54 students admitted between 2005 - 2008. Based on 52 graduations between 2014 - 2017 the minimum time to completion is 2.99 years and the maximum time is 9.00 years with an average of 4.97 years of study. All calculations exclude leave times. Investigating the neurobiological underpinnings and structural characteristics which contribute to biased decision making. Associations between maternal executive functions and parenting behavior : are they moderated by parental childrearing attitudes?